I’m lucky enough to live 20 minutes’ walk from my office. Until very recently, it was the only regular exercise I got. It also saves me a lot of money on transport. So, when I started noticing Mobikes lying around Salford Quays a few months ago, I ignored them. — Just another over-engineered tech solution nobody needs! — One smart device too many! I didn’t really say any of these, but they sum up how I felt about these so-called smart bikes. 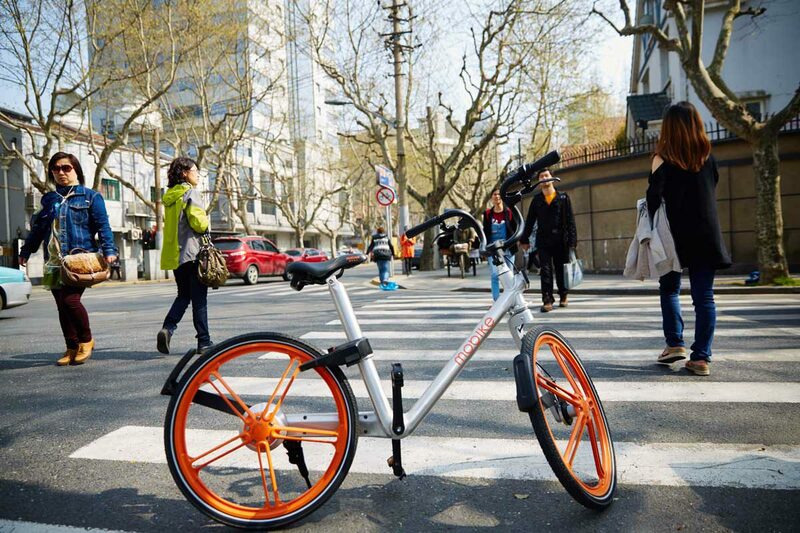 Then, last Friday, I ended up trying — and liking — Mobike. The Mobike app showing Salford Quays. Some of these bikes aren’t really there. They’re in the canal. At first, I just wanted to get home a bit faster. I saw the bike standing there, guessed it would be pretty easy to get going, and decided it would be an experience if nothing else. Downloading the app on 4G and saving my card details took about 2-3 minutes. I had to agree to let Mobike keep a £29 deposit for as long as I wanted access to the service. I scanned the QR code on the bike and a lock on the back wheel snapped open. It was just as smart as I expect smart devices to be. I got home in 10 minutes, half the time it usually takes me, and it was fun. The journey cost me 50p. I like cycling, but I don’t have a bike of my own at the moment. Since I can walk to work, and don’t have much time (or inclination) to cycle at the weekend, it doesn’t seem worth it. But this Mobike thing could really work. I was even more encouraged when the same Mobike I had left outside my house on Friday night was still there on Monday morning. I’ve seen them being gathered up on trucks before, but nobody had taken this one. That meant I could ride it Monday morning to the gym I’ve just joined, then on to the office. It stayed outside my house Monday night, too. Unfortunately I won’t be depending on Mobike in future. Even though there are lots of them around here, you can’t count on finding one every time. Today, Thursday, there were none between my house and the gym. I had to walk all the way there. Somebody put a lot of effort into destroying this. Afterwards, I looked on the app for one on the way to the office and saw three right next to a canal. Except they weren’t there. I can only conclude they’d been chucked in the water by kids. It wouldn’t be the first case of Mobike vandalism I’ve seen. A few weeks ago I found one completely incinerated in Ordsall Park, close to where I live. So I ended up walking to the office, too. Now I’m thinking about buying a second-hand bike instead of spending £1.50 per day on Mobike. It’ll be cheaper in the long-run and a faster ride. I do have Mobike to thank for getting me back on a bike though, and I recommend giving it a try if you see one. Previous Previous post: Is it better to publish on Medium, Linkedin or your own blog? Next Next post: We’ve got a new website and company name. Welcome to Wheatleys!